Alexander, Anthony F. College Apologetics: Proof of the Truth of the Catholic Faith. Rockford: TAN, 1994. Baierl, Joseph J. The Theory of Revelation: Part I, The Speculative Foundation of Revelation, Section I, The Natural Presuppositions of Revelation. Rochester: Seminary, 1927. _____. The Theory of Revelation: Part I, The Speculative Foundation of Revelation, Section II, The Natural Knowability of Revelation. Rochester: Seminary, 1933. Berrington, Joseph, et al. The Faith of Catholics: Confirmed by Scripture and Attested by the Fathers of the First Five Centuries of the Church, Vols. I-III. NY: Pustet, 1885. D’Arcy, M. C. The Nature of Belief. London: Sheed & Ward, 1937. Dubay, Thomas. Faith and Certitude. San Francisco: Ignatius, 1985. Duggan, G. H. Beyond Reasonable Doubt. Boston: Daughters of St. Paul, 1987. Dulles, Avery. Theological Resources: A History of Apologetics. Eugene: Wipf and Stock, 1999. Epie, Chantal. Upon This Rock: Scriptural Roots of Catholic Teaching. London: Scepter, 1991. Fenton, Joseph Clifford. We Stand With Christ: An Essay in Catholic Apologetics. Milwaukee: Bruce, 1942. Finlay, Peter. The Church of Christ: Its Foundation and Constitution. London: Longmans, 1918. Forrest, M. D. Chats with Prospective Converts. St. Paul: Radio Replies Press, 1943. Gibbons, James. The Faith of Our Fathers: Being a Plain Exposition and Vindication of the Church Founded by Our Lord Jesus Christ. Rockford: TAN, 1980. Glenn, Paul J. Apologetics: A Class Manual in the Philosophy of the Catholic Religion. Rockford: TAN, 1980. Goldstein, David. Campaigners for Christ’s Handbook. Boston: Catholic Campaigners for Christ, 1938. _____. What Say You? St. Paul: Radio Replies Press, 1945.
de Grandmaison, Leonce. Jesus Christ: His Person, His Message, His Credentials, Vols. I-III. London: Sheed & Ward, 1930-1934. Hahn, Scott. Reasons to Believe: How to Understand, Explain, and Defend the Catholic Faith. NY: Doubleday, 2007. Hill, M. P. The Catholic’s Ready Answer: A Popular Vindication of Christian Beliefs and Practices Against the Attacks of Modern Criticism. NY: Benziger, 1915. Keating, Karl. Catholicism and Fundamentalism: The Attack on “Romanism” by “Bible Christians.” San Francisco: Ignatius, 1988. Kreeft, Peter and Ronald K. Tacelli. Handbook of Catholic Apologetics: Reasoned Answers to Questions of Faith. San Francisco: Ignatius, 2009. Lunn, Arnold. The Third Day. London: Burns Oates, 1945. Madgett, A. Patrick. Christian Origins, Volumes I and II. Ann Arbor: Edwards, 1943. Mirus, Jeffrey A., ed. Reasons for Hope, Revised Edition. Front Royal: Christendom, 1982. Most, William G. Catholic Apologetics Today: Answers to Modern Critics. Does it Make Sense to Believe? Rockford: TAN, 1986. O’Brien, John A. The Faith of Millions: The Credentials of the Catholic Religion. Huntington: Our Sunday Visitor, 1960. Rumble, Leslie and Charles Mortimer Carty. Radio Replies, Vols. I-III. Rockford: TAN, 1979. _____. That Catholic Church: A Radio Analysis, A Sequel and Companion Book to the Three Volumes of Radio Replies. St. Paul: Radio Replies Press, 1954.
de Sales, St. Francis. 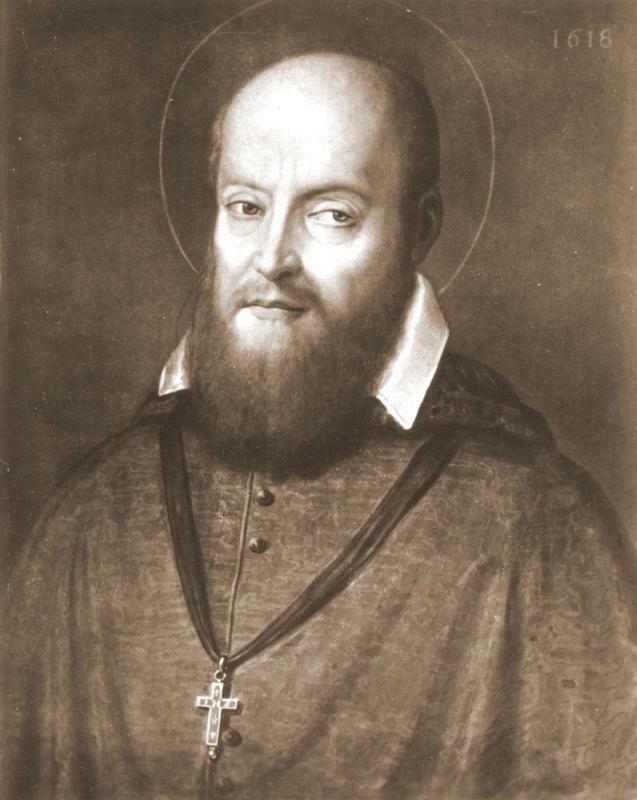 The Catholic Controversy: St. Francis de Sales’ Defense of the Faith. Rockford: TAN, 1989. Schmidt, Austin G. and Joseph A. Perkins. Faith and Reason: A First Course in Apologetics, Second and Revised Edition. Chicago: Loyola, 1943. Scott, Martin J. Answer Wisely. Chicago: Loyola, 1938. _____. The Credentials of Christianity. NY: P. J. Kenedy, 1920. Sheed, Frank and Maisie Ward. Catholic Evidence Training Outlines. London: Sheed & Ward, 1925. Sheehan, Michael. Apologetics and Catholic Doctrine. Rev. and ed. Peter M. Joseph. London: Baronius, 2009. Staples, Tim. Nuts & Bolts: A Practical Guide for Explaining and Defending the Catholic Faith. San Diego: Basilica, 1999. Stoddard, John L. Rebuilding a Lost Faith: By an American Agnostic. NY: P. J. Kenedy, 1922.